A new kind of company is emerging. A kind of company that is more innovative, leaner and faster. Companies like Google, Amazon and Facebook, who seem to be able to operate at massive scale and still maintain the agility of a startup. Fascinated by these fast-moving, agile organizations, I spent several years researching how they operate. I wrote a book that summarized what I found, called The Connected Company. There are many components that make connected companies successful at what they do, but at the heart of the story is one fundamental fact: They are able to move faster because they are aligned. Connected companies have a clear vision and strategy. But by itself, a clear strategy is not enough. 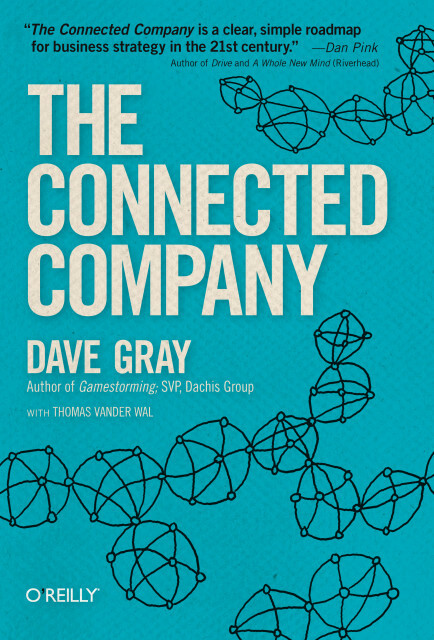 Connected companies have a high-performing culture. But by itself, a high-performing culture is not enough. Connected companies have a unique set of capabilities. But by itself, even a unique set of capabilities is not enough. The magic is not how well these things work in isolation. The magic is in how these things work together. How they are connected and synchronized. When an organization is aligned, it can get better, faster. Peak-performing companies are a lot like peak-performing athletes. The best, most elite athletes surround themselves with people — coaches and trainers — who help them get better, faster. These trainers and coaches do not focus on vision, strategy, motivation and capability separately. They focus on the whole person. They focus not on the parts but on how it all works together. A great coach will focus on the heart, the mind and the hands. The heart is the seat of motivation, the reason to care and to go the extra mile. The mind is the place where strategic clarity and vision live. The hands represent the unique capabilities of that person, their potential to be great. Great coaches train their athletes to use visualization as a key tool to help them achieve high performance. By visualizing the near future, that athlete is able to move to the next step in their evolution toward greatness. The heart of an organization is its high-performing culture; the mind of an organization is its strategic clarity and vision. The hands of an organization are its unique capabilities. My company, XPLANE, does what a personal trainer does, but we do it for whole organizations instead of individuals. We focus not on the parts but on connecting the organization as a whole. There are consultancies that can help you with your strategy. There are performance improvement firms that can help you build a high-performing culture. And there are many companies that can help you build or buy new capabilities. 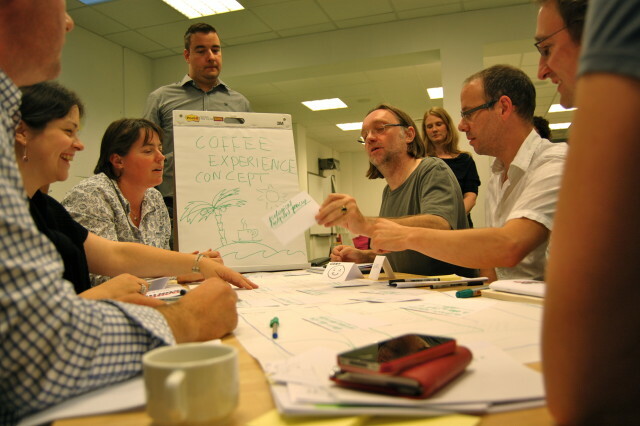 XPLANE’s focus is on the organization as a whole; helping you connect those things and catalyze action. Like great coaches, we use visualization as a key tool to energize the collective heart, clarify the collective mind, and activate your unique capabilities, to help you move to that next step in your organization’s evolution. We engage cross-functional groups from your organization in visualization sessions that drive understanding and alignment; secure personal ownership and commitment to goals; and drive decisions, action and results. The process of visualizing things is also a process of making things. A picture of a new process becomes a plan for implementing it. A picture of the customer experience becomes a tool for communicating and creating that experience. A picture of a new product or service becomes a tool for selling it to customers. So connecting people in a visual thinking process naturally drives commitment and action. It’s also a way to ensure that people are aligned about what they are going to do and how. If it can’t be drawn, it can’t be done. 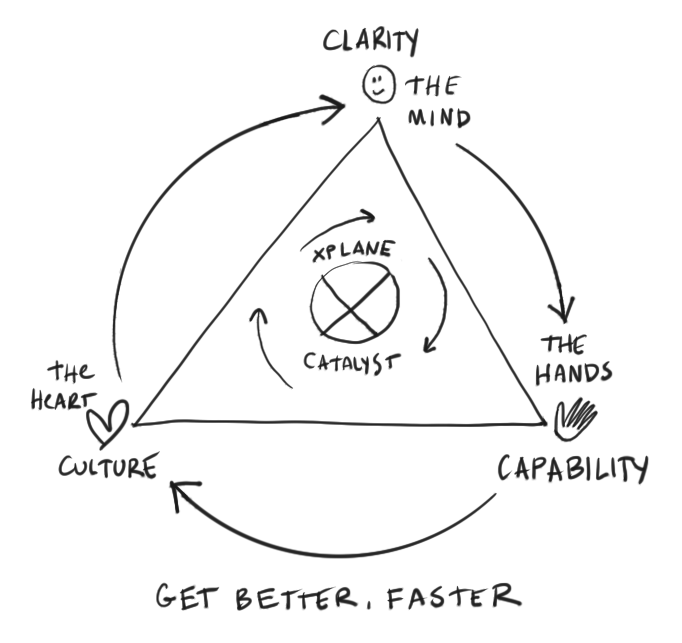 XPLANE is the visual thinking company, and that’s the power of visual thinking: It drives not only clarity, but culture and capability at the same time, and that’s what makes it powerful. We are proud to be that strategy activation firm, helping our clients level-up to realize the next stage in their evolution. We help organizations get better, faster. Give us a call, we’d love to show youwhat happens when people understand.